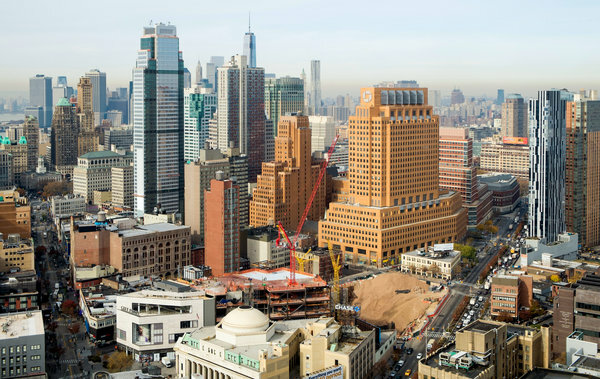 The population boom in Downtown Brooklyn and the need for a new school made many headlines last year including DNA Info, Brownstoner, The Brooklyn Eagle, and the New York Times. According to the Brooklyn Paper, the issue is the #3 story to watch in 2014! Now that people are finally paying attention, hopefully 2014 will be a year of action by the DOE and local politicians. i thought the new DOE capital plan included funds for a new school PS/IS building downtown, to start construction in 2019, open in 2022. A school in “DUMBO/Brooklyn Heights/Fort Greene” is included in the preliminary SCA budget. However the school still must be funded by the city and the DOE and there is no telling where the school would be located. If the city waits 5 years before doing anything, they are going to have an acute overcrowding problem in the existing schools and there will be nowhere to build a new school in the neighborhood. If they happen to be able to find a site five years from now to build a school in Downtown Brooklyn for the 1000s of kids living here, it will cost double of what it would cost today to start the process. This is a failure of planning that will only get worse if the timetable isn’t moved up.